Posted byAl Gomez	 13th Nov, 2018 17th Apr, 2019 Leave a comment on How Can You Use Instagram’s IGTV for Successful Marketing? Four months ago, Instagram released its newest app that is now threatening to eat up the competition. It was a feature as competent as Instagram Stories in its own right. When Instagram TV came into existence, marketers saw the new platform as an opportunity for so many firsts, and vertical video formats in social media marketing campaigns. IGTV video length can run up to 10 minutes, while influencers of brands with 10,000 or more followers can post videos up to an hour in length. For this reason, videos on IGTV can be used for customer education or training, product promotion, and even corporate communications. For businesses, IGTV is very exciting and a great new feature in the landscape of digital marketing. We can’t wait to see how everything unfolds. 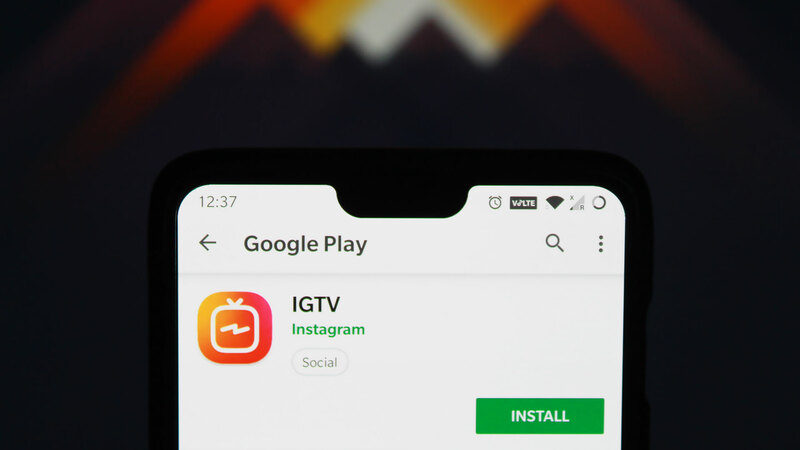 And because it’s Instagram’s newest feature, let’s take a look at the ways marketers can successfully promote their products and services on IGTV. Any seasoned marketer knows that a successful social media marketing campaign requires strategy. It is not different when people started talking about IGTV — and all the possibilities that came with it. Take into consideration the kinds of video formats that you can incorporate when creating IGTV content. Technically speaking, Instagram TV is designed for mobile phones — and how we typically consume content on our devices. 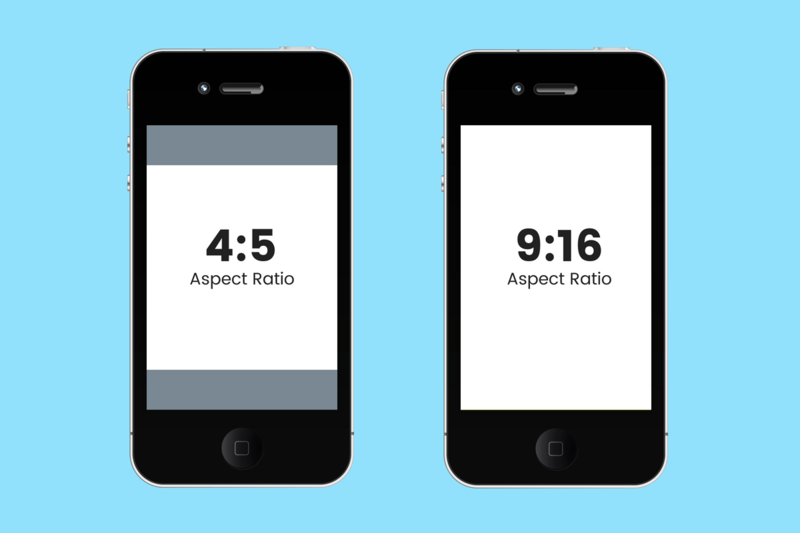 The ideal video size has min 4:5 and max 9:16 aspect ratio. Your company’s services and products take precedence, so make sure to create strategies that revolve around them. Video formats that are popular around IGTV include training or tutorial videos, product demonstrations, behind-the-scenes footage, etc. You can even do a documentary series like National Geographic or short films that will appeal to your viewers’ emotions if you have the resources for mounting a production like that. Graft a content calendar so you can keep track of the kind of content you’ll push out on your IGTV channel on specific dates. The title is the first thing your viewers see. So don’t neglect it. Be creative yet mindful at the same time. Give your IGTV videos a descriptive title that will intrigue and capture the attention of your viewers. Be aware of the fact that titles are cropped from the thumbnail if they contain 26 or more characters. So keep it to 20 or 25. Put the most descriptive information at the very beginning of the title. Don’t dally. Let your audience know what the video is immediately about. Calls to action are staples of every marketing campaign. After your target audience has fed on your content, what then? It’s important to let them know what you want them to do about it. Include CTAs that link back to your official website, your product page, or a piece of content that is relevant to your current IGTV show. Guide your viewers throughout the CTA. Give them specific instructions; like telling them to open the description, and click on the links that you provided. If you’ve hosted several video productions in your campaigns before, then you’re perfectly familiar with the importance of the quality of sound in the video. It has to be clear and audible enough for your audiences. Also, remember that IGTV mimics the way televisions work. And upon launching the app, videos automatically play. In response to this, avoid overly loud introductions or irritating audio that will annoy your viewers. Or on the other hand, you can include subtitles in response to viewers turning off the sound. Interesting content holds attention for longer. And from simple observations, it’s easy to see that people are attracted to longer videos, but only if the content is interesting enough to warrant paying attention to. Just because you can easily post a 10-minute video, it doesn’t immediately mean you should. Unless you have 10 minutes worth of intriguing content, it’s advisable to keep your videos practical and reasonable in length. Two or three minutes of show time isn’t bad as long as you get your point across. The digital world is saturated with an overwhelming amount of information. Sometimes it’s hard to fully consume it all. So the unspoken rule is simple: Never force feed information to your audience. Give them room to breathe after an informationally loaded video, and save some extra details for your video description and tell your audience to check that out. In addition, hashtags and descriptions help promote your videos. An abundance of hashtags have long been recognized as crucial for successful Instagram marketing. And that specific tactic carried on with IGTV. Add about five hashtags, and don’t forget to stick to relevant phrases and words. Just as cranes and dollies are needed to produce a feature film successfully, some accessories are simply necessary to create a high-quality Instagram TV video for your channel. Instagram came out with a free 48-page guide for creators on IGTV. While in no way sponsored, the social media app recommended a lot of useful apps and tools for the entire IGTV production process. From the capturing to the editing, they had it all. Capturing the best vertical videos means adhering to the rules and regulations of visual composition. Remember that not everyone is contented to consume to mediocre creations. Turn on the Grid: Enabling the grid lines on your phone help with framing and composing the subject in the frame. The “Rule of Thirds” govern the video world. Mind the Resolution and Frame Rate: 4K (2160 x 3840) from 24 to 60 frames per second often boast the highest quality of video capturing. A 4K video with 24fps is the standard in the film industry. But you can also shoot videos in 1080p or 720p. The reason for recommending 4K video capturing quality is for easier adjustments during the editing stage. Lighting: The higher the frame rate, the more light you’ll need. The standard cameras available on your iOS or Android are good for starters, but sometimes, there’s a need for greater control, and that’s where various camera apps come in. These apps were featured in the IGTV guide provided by Instagram. You can find a lot of these on the App Store or on Google Play. Editing is done in professional video productions, and they are staples of high-quality video content too. It’s true that there are times when raw video clips are necessary to market your authenticity and transparency, but more often than not, editing is important to amp up the quality of your videos. The apps named here are also on Instagram’s IGTV guide. And again, you can find them on the App Store or on Google Play. Videoleap: Features a green screen, key frames, animated titles, and title masking. InShot: Lets you select a 9:16 canvas size — which is the standard of IGTV videos. It also includes filters, free stock music, and stickers. Carve: Has filters and customizable looks. 90s: Adds a VHS look to your video. VideoGrade: Aids in color grading and fine-tuning the raw shot for better visual quality. There’s a wide array of Instagram Marketing Measuring Tools to choose from. Or you can easily use Instagram’s built-in analytics tool — Instagram Insights. The tool examines audience retention as well as engagement metrics. A marketer that understands the power of Instagram TV would be excited to try new opportunities that have become possible through the app’s emergence. Four months in, and IGTV’s relevance isn’t slowing down. Nevertheless, the name of the social media marketing game has been set years ago. Interesting video content and professional video quality is what will reign, and that is what marketers need to master and capitalize on for the years and other apps to come.